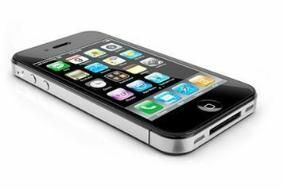 Apple posts record earnings despite iPhone 4 problems | What Hi-Fi? Revenues rose 88 per cent to $15.7bn (£10.2bn), with net quarterly profit up 78 per cent to $3.25bn. The news sent Apple shares up 3.4 per cent. Strong sales of Mac computers and the iPad helped deliver a "phenomenal quarter", Apple CEO Steve Jobs said last night. The company sold 3.47 million Macs worldwide during the quarter, 3.27 million iPads and 8.4 million iPhones. Jobs insisted that the iPhone 4 was the most successful launch in Apple's history, despite 'Antennagate'. Apple has deferred revenue of $175m to cover the cost of providing cases to address the problem of reception problems on the iPhone 4, but denied that the issue had hit sales of the device. Only sales of the iPod showed a decline, at just over 9.4 million units, the lowest figure since the summer of 2006.